Discussion in 'The Sports section' started by KUCIAR666, Oct 19, 2017. Maverick Viñales and Valentino Rossi had little time to rest after last weekend's Japanese Grand Prix. The Movistar Yamaha MotoGP teammates arrived in Victoria, Australia, just a few days later for the second race of the triple header. Viñales continues to show great determination as he enters round 16 of the MotoGP World Championship on Phillip Island, one of his favourite circuits. Currently third in the championship standings, he aims to keep fighting to close in on the rider in second place, who is 30 points ahead of him. The Spaniard got to lift a trophy after a race in Australia three times prior. 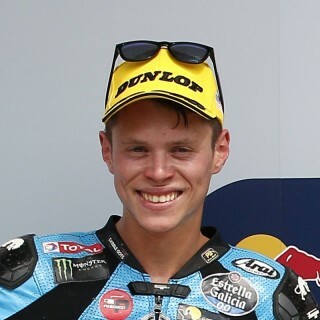 He scored a Moto3 second place in 2013, secured a Moto2 win the year after, and stood on the premier class podium last year celebrating a third place. Teammate Rossi is eager to bounce back from the misfortunes he experienced in Motegi last week by scoring a top result in Australia this weekend, in order to climb up from fifth place in the championship rankings. After securing 250cc victories in 1998 and 1999 and a 500cc third place in 2000, the Doctor continued to work on an impressive résumé, enjoying a five-year winning streak from 2001 to 2005 in the premier class. This was followed by five more consecutive podium finishes, taking second place in 2008 and 2009, and third place in 2006, 2007 and 2010. The Italian revisited the Australian podium in 2013, 2014 and 2016, claiming a third, first and second place respectively. Phillip Island began staging motorcycle races in 1931 and became a permanently constructed circuit in 1956. It continued to host motorcycle Grand Prix events until an extensive renovation took place in 1968. The circuit made an intermediate comeback in 1989-1990, to become a regular fixture once more from 1997 onwards. 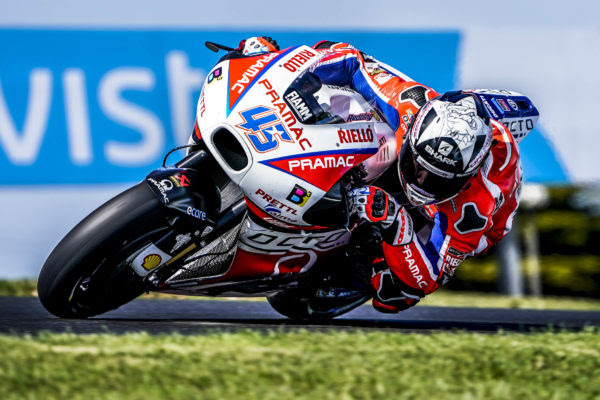 Thanks to its terrific location, right next to the ocean, and its flowing lay-out (featuring seven left and five right corners and a 900m longest straight), the Phillip Island track is a very popular destination for MotoGP fans, who travel from far and wide to cheer on their heroes. "We did our best in Japan, but unfortunately it wasn't enough. Now it's time to focus on Australia in order to make another important step for the championship. For me, Phillip Island is one of my favourite tracks, I like the lay-out a lot and I love being here, it's amazing. When I was here in February I was the fastest on my YZR-M1, so I'm really motivated for the race. The championship isn't over until all the points have been distributed, so anything is still possible and I can't wait to be on the bike again to give my 100%." "I have arrived in Australia after a complicated race, but I'm in a good mood because I want to work in the best way possible with my team and fix the issues we had in Japan as quickly as possible to do nice races again. Phillip Island is a circuit I really like and I hope that the weather here will be good to start working straight away in dry conditions. After the crash in Japan I'm feeling pretty good, just a little bit of pain. Now I hope for good weather for the entire weekend!" 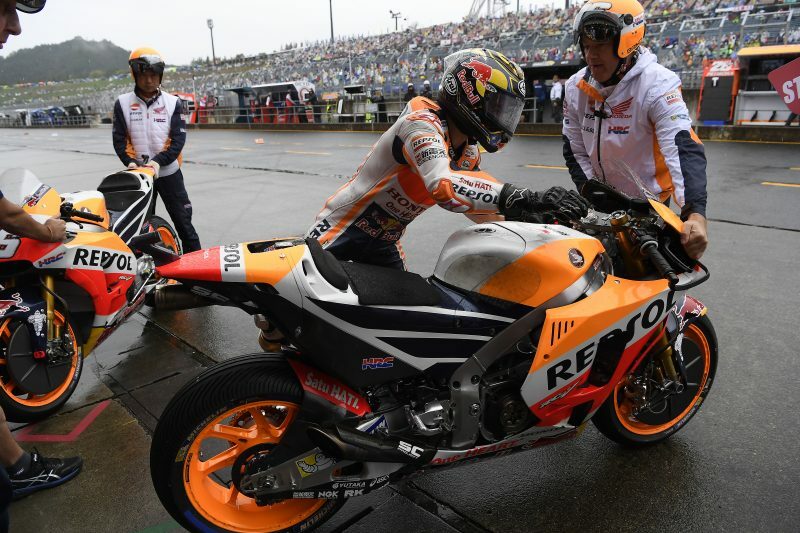 "The team has travelled straight to Australia after the race in Motegi. Last Sunday didn't go according to plan, but we have another race to look forward to this weekend. We will use the Japanese GP as a source of motivation to get good results at the Phillip Island circuit, which is one of the team's favourite tracks on the MotoGP calendar. Not only does the sweeping lay-out suit our bike more, but also the atmosphere there - with the track being so close to the shore - is really enjoyable. Earlier this year, we collected quite a lot of data during the pre-season test on Phillip Island and this week we will add on to it. We look forward to putting the free practice time to good use, and hope to hit the ground running on Friday." "The Australian Grand Prix is already approaching, immediately after Japan, and Phillip Island is a wonderful track which I think every rider loves. I really like it too because it's very impressive to ride. I am happy that we tested here at the beginning of the season when I was discovering the bike, but now that I have more experience, I am curious to see how competitive I will be this time. Let's see what happens with the weather, because it can be very cold in that region during October. So I will take it easy but the race in Japan was good, as was the whole weekend, so I need to stay on the pace and I hope for a nice result in Australia." "Of course, I would like to thank the Monster Yamaha Tech3 team for giving me the amazing opportunity to race at my home Grand Prix in front of all of my supporters, fans and family. I am really looking forward to getting on the Yamaha YZR-M1 at Phillip Island and giving it my all!" "It's now time for the Australian Grand Prix which will be another interesting round for the whole Monster Yamaha Tech3 Team. After the great qualifying performance and start of the race, by Johann Zarco, I expect another very strong showing. Hopefully, the weather will be dry this time and we know that the Yamaha YZR- M1 is a bike that is always fast at Phillip Island. Therefore, everyone is looking forward to the weekend with Johann. Due to the unfortunate illness of Jonas Folger, we will have another new rider joining Tech3 at this round. He is a local boy from Australia and his name is Broc Parkes, who is already a Yamaha and Monster Energy sponsored rider. He has previously tested the M1 on Michelin tyres at this track so everything will not be completely new for him. We are more than happy to welcome Broc and to give him the chance to show his true potential. Clearly, an Australian rider will bring more media attention to the team and that is something that is going to be exciting for us. Phillip Island is always a very special circuit that many MotoGP riders regard as the best track in the world. It's just incredible with amazing scenery and there are also a lot of enthusiastic fans here in Australia. So let's start on Friday and hopefully, the weather will be kind to us." The most thrilling battle for a MotoGP crown in more than a decade enters its final stages in Australia this weekend. 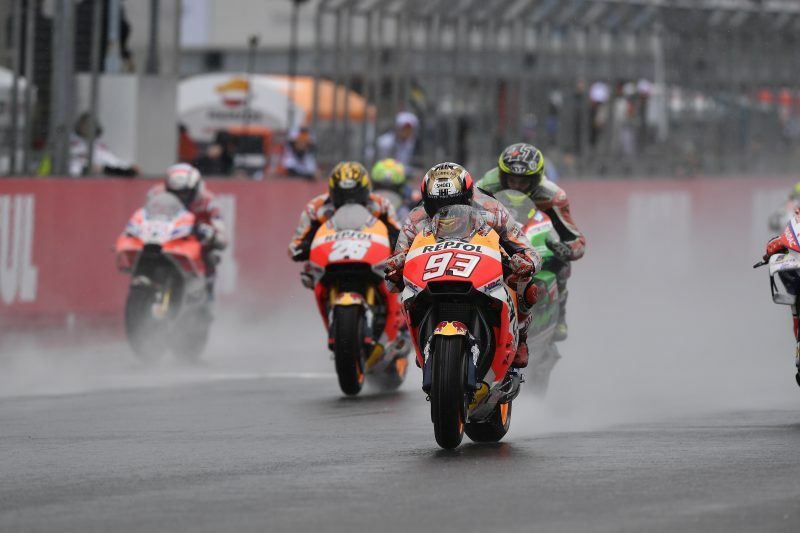 Sunday’s Australian Grand Prix at the magical Phillip Island circuit is the 16th of 18 races, with only 11 points separating title contestants Marc Marquez (Repsol Honda Team RC213V) and Andrea Dovizioso (Ducati). 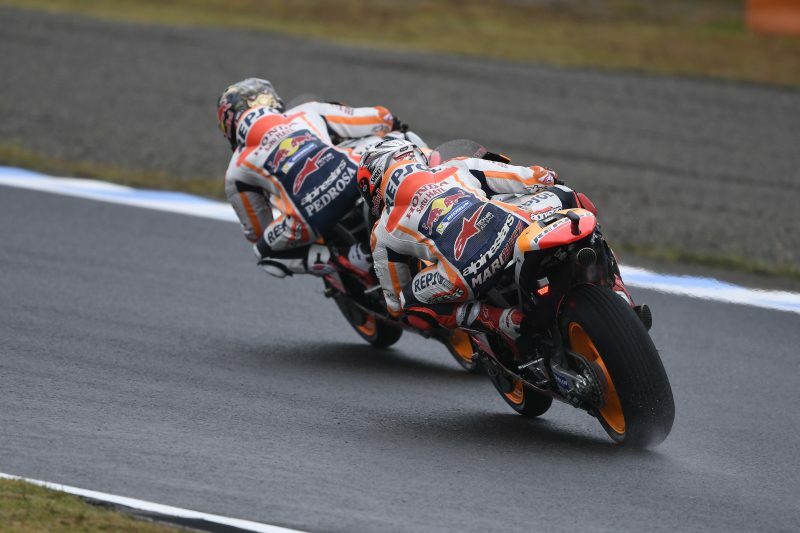 In Japan last Sunday the pair fought an unforgettable race-long duel in appalling weather conditions, battling until the final corner, with Dovizioso taking victory from Marquez by just two tenths of a second. 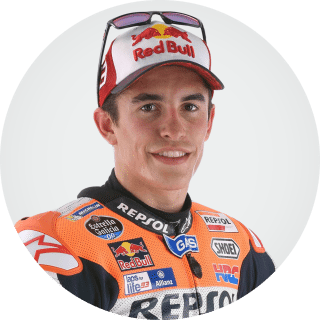 Therefore 24-year-old Marquez comes to Phillip Island fully aware that he need to beat his Italian rival to further increase his points advantage before the final two races, at Sepang, Malaysia, next Sunday and at Valencia, Spain, on 12th November. 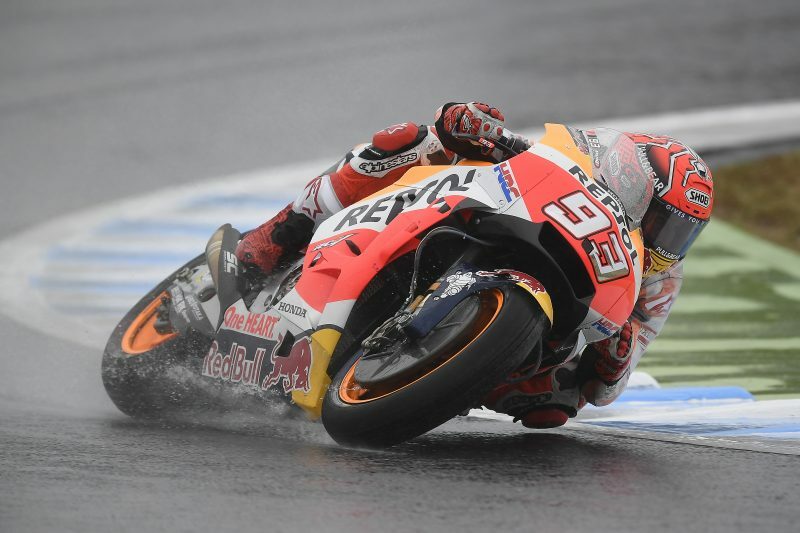 And reigning champion Marquez – who is chasing his fourth MotoGP World Championship in just five seasons – has good reason to believe he can have a great race at this glorious circuit, situated off Australia’s spectacular south-east coast. Phillip Island is one of five anti-clockwise MotoGP circuits, so Marquez’s training regime of going fast and turning left around dirt-track ovals should be a big help this weekend. 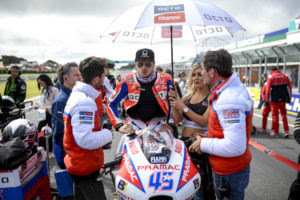 Already he has emerged victorious at each of the three anti-clockwise circuits – the Circuit of the Americas, the Sachsenring and Aragon – that have featured on this year’s calendar. Phillip Island is also the scene of one of the greatest of Marquez’s 34 MotoGP victories. In 2015 he produced one of the best final laps of his life to win a memorable four-rider battle at this super-fast circuit. But Marquez, who hails from Cervera, in the north west of Spain, has twice crashed out of the MotoGP race: last year he slid out while leading and he also fell in 2014. Marquez comes to Australia in scintillating form. From his past seven outings, Marquez has amassed 140 points from a possible 175, including four wins and two second-place finishes, with his RC213V competitive at every track and in all conditions. The youngster continues to break records at a breathless rate too: his second-place finish at Motegi was his 100th Grand Prix podium, with 60 of those results race victories. He is now the ninth most successful rider in the 69-year history of the Grand Prix racing championships, a remarkable achievement for one so young. Marquez’s ever-growing list of success isn’t only growing his own legend. He also continues Honda’s proud record as the most successful manufacturer in the history of Grand Prix racing. Right now Honda leads the Constructors World Championship, while Repsol Honda is ahead in the Teams World Championship. The goal of riders and constructor is obvious: the triple crown of rider, constructor and team success. 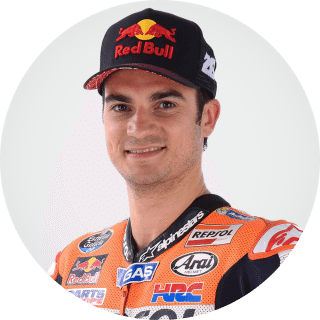 Team-mate Dani Pedrosa (Repsol Honda Team RC213V) still retains a mathematical chance of capturing the riders title, but his retirement from the Japanese Grand Prix with tyre issues all but put paid to those hopes. This weekend Pedrosa will race in Australia for the first time since 2015, because he missed last year’s race due to a collarbone injury. The super-experienced 31-year old has scored two MotoGP podiums at Phillip Island and one 250cc victory, when he secured a second successive 250 World Championship in 2005. 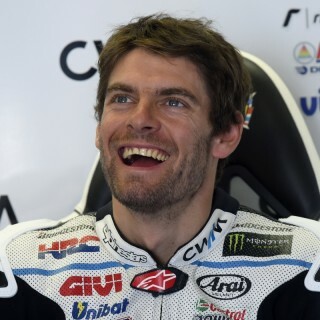 One man who will be hoping for a repeat of his 2017 Phillip Island performance is Cal Crutchlow (LCR Honda RC213V), who won a storming race on the Island last year, his second of the year, which helped Honda take the premier-class constructors titles for the 22nd time. Despite a recent run of difficult results, Crutchlow has been competitive in the dry. And he has already scored one podium so far this year, in Argentina. During preseason testing he was also very fast and consist here. 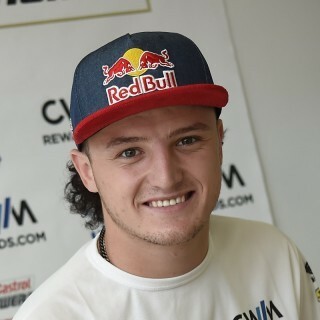 Local star Jack Miller (Estrella Galicia 0,0 Marc VDS Honda RC213V) returns from injury this weekend, fully expectant of a strong showing in front of his home crowd. The Australian fractured his right tibia while riding a trials bike last month. Although not 100 percent fit, Miller is determined to give the vociferous local fans something to cheer about. Miller’s team-mate Tito Rabat (Estrella Galicia 0,0 Marc VDS Honda RC213V) secured the last World Championship point at Motegi last weekend, riding through the blinding spray to finish 15th, a fraction of a second behind Hector Barbera (Ducati). 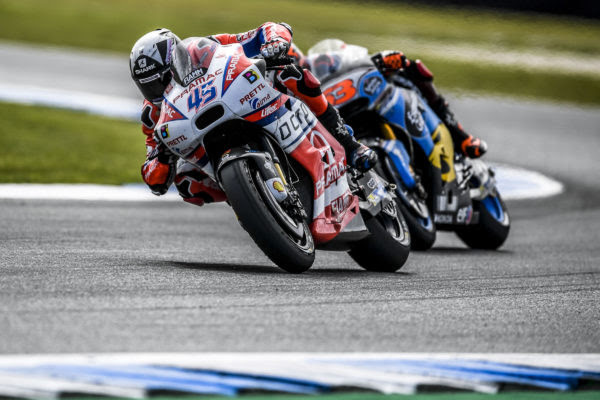 The 2014 Moto2 World Champion hopes that Phillip Island represents another opportunity to better his season’s best result of 11th at Le Mans and Mugello. Sun shines on the Phillip Island circuit but the temperature is cold and does not manage to warm up the performance of Scott Redding and Danilo Petrucci who finished the first day of free practice for the Michelin® Australian Motorcycle Grand Prix in 16th and 17th position respectively. After a difficult FP1, Scott Redding seems to find greater feeling in FP2 and reduces the gap with the Top 10 to 4 tenths of a second. Danilo Petrucci tries to go out in FP1 with the new fairings but the sensations are not positive. 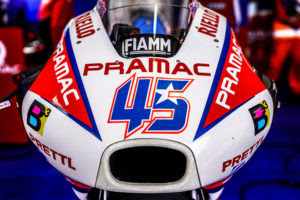 In the afternoon Petrux returns on track with the standard set up and manages to be at least faster by registering the Top Speed of the day (339.0 km/h). In the second part of the circuit, however, the feeling is not the best. “I had more difficulties than I thought. I don't have much feeling, especially on the front. This morning we chose to start with wings but the bike was a bit too heavy due to the wind. We tried to change this afternoon but I still do not feel confident. I am sorry about how things have gone today. Tomorrow we must do better”. “Today was not so badly even though the position is certainly not what we would have expected. However, I feel that the feeling is positive even though there have been problems for all the satellite Ducati today. I don't want to change a lot because I feel comfortable with this bike. Surely we must work on the details to be more competitive on time attack”. Movistar Yamaha MotoGP riders Maverick Viñales and Valentino Rossi enjoyed sunny conditions at the Phillip Island circuit today during the first free practice sessions of this weekend's Michelin Australian Motorcycle Grand Prix. The teammates worked diligently on their bikes' settings and secured fifth and twelfth place respectively. Fully committed to his goal to decrease the 30-point gap to the rider in second place in the championship standings, Viñales hit the ground running in the morning session. Despite a stiff breeze, he was soon on the pace and climbed up to second place before shifting his attention to his bike's set-up. The Spaniard ended the FP1 session in fifth place, with a 1'29.781s fastest lap and a 0.179s margin to first. He continued his form in the dry afternoon session and it only took him a few laps to shoot up to second again in the provisional rankings. He planned on spending what was left of the 45-minute session testing various setting options, but had to slightly amend this strategy after a crash in turn 8, with 20 minutes to go. He was quickly up on his feet again and hurried to the box to rejoin the fray before the times started to drop in the final 15 minutes of the session. Back on the bike, Viñales put his head down, but was unable to improve on his time. His best result, a 1'29.423s on lap 7, kept him in fifth place in the FP2 and combined free practice timesheets, 0.198s from the front. Keen on making the most of the dry session time on day one on Phillip Island, teammate Rossi also made a positive start to the Australian GP. Though riding with pain in his right shoulder, resulting from last week's crash, he steadily upped his pace at the start of FP1. He briefly moved up inside the top-10, before he concerned himself with the set-up of his Yamaha. He set a 1'30.553s best lap as the session progressed and finished in 13th place, 0.951s from first. The Doctor booked solid progress in the afternoon, quickly positioning his YZR-M1 inside the top-5. While he resumed his work, further fine-tuning the balance of his bike, the pace of the field increased. The Italian responded at the end of the session by dipping under the 1'30 mark with a 1'29.977s. He bettered his morning time by more than half a second, but it wasn't enough for him to secure a position inside the top-10 and he ended the first day in twelfth place in the FP2 and combined results, with a 0.752s-margin to the front-runner. "The day overall has been really good, honestly. Before the crash I was already coming up with red-helmet times in many sectors, but I was trying so hard I pushed the bike over the limit. We still have to improve, but the crash was, for sure, my mistake. I pushed in the outlap when the tyres were cold. I tried to do my best. Anyway, after the crash, I didn't feel as good as before, but I was booking many 1'29s and was on the pace so that means we have a good base set-up and now we have to improve, especially in sector 4. The track is different from what it was like during the pre-season test, but it's not bad. It's cooler, but the track still provides good grip so that's good for us. Tomorrow we're going to try to improve even more, but I'm quite happy how the bike was working here today." "The position, unfortunately, was quite bad. It was important to try and stay inside the top-10 today, because here on Phillip Island you never know what will happen tomorrow with the weather, but apart from that we worked a lot and the feeling with the bike is not bad. I tried another modification at the end with the softer tyre, which has better potential, but unfortunately I didn't like it a lot, especially in the fast corners, so for this reason I wasn't able to improve enough to stay inside the top-10. We have a lot to do, also the tyre choice front and rear is still open, so I hope for good conditions tomorrow." "It was a completely different first day compared to last weekend, everything changed back to normal. The final results didn't fully reflect our true potential. It was a pity that Maverick crashed halfway through FP2, because I'm quite sure that his placement could have been different. He showed good pace and confidence since FP1 and we think we still have room for improvement, even if in general he's already quite satisfied about the behaviour of the bike. Despite pain in his right shoulder, Valentino has been able to do two good practice sessions. It was unfortunate that they used the softer option with a setting that wasn't quite to Vale's liking, which prohibited him from exploiting the full potential of the tyre. We aim to continue today's comfortable groove tomorrow." Johann Zarco commenced the Australian Grand Prix with instant speed after powering to 8th at the close of the first day. He kicked off the weekend by rocketing to 2nd in Free Practice 1 and built up his pace in the afternoon before finishing 0.354 back from the top three. Meanwhile, Jonas Folger's round 16 replacement, Broc Parkes, made a confident start to proceedings in front of his home crowd. After a positive showing in the FP1 shakedown, he made a large step forward in the second practice session to cut 0.902 from his previous best. Tomorrow's action begins with FP3 at 10:55 local time, or 01:55 in central Europe, where both riders aim to make further progress ahead of the qualifying shootout. "It was a positive opening day and I am happy that I started with a solid pace. In FP1, the bike felt good and I could ride some decent times quite early on. This gave me confidence and so, I was able to relax and I worked with the team to progress even more. In the afternoon, I could not be faster than this morning, as my personal best was almost the same time, yet everyone was quick and we are close. This means that it's not easy to make big improvements but I am pushing and I hope that we can find solutions. The main area of focus is the stability because the wind and the speed of this track make the bike move a lot and this is what we will work on." "The call-up for this opportunity came at the last minute as I was in Andorra and I asked for it on Friday. Then, I heard from Hervé the next day and so I jumped on the plane and got here midweek. In all honesty, it was a bit of a struggle today as I thought I would get on with the bike quicker. It has been not easy and I had a small crash in the afternoon, which caused us to lose some time at the end. Yet, up until then, we started to advance and I made progress. The best guys in the world are in this class and they have been on their bikes for a long time so to jump on the Yamaha and try and be competitive straight away is definitely not an easy task. However, it's going well and I am looking forward to tomorrow." The Movistar Yamaha MotoGP Team faced an eventful second day at the Phillip Island circuit, with changing conditions throughout and Valentino Rossi having to take part in Q1, but they confronted the challenge head-on. Maverick Viñales showed great form in Q2, securing second place on the front row. Rossi successfully promoted to Q2 and took seventh place on the grid for tomorrow's Michelin Australian Motorcycle Grand Prix. Viñales was quick out of the gates at the start of the 15-minute Q2 heat. His first flying lap of 1'30.116 saw him very briefly hold eighth place, but he was just getting started. His third attempt saw him climb up to sixth, behind his teammate, but there was yet more in store for him. He headed back to the pit lane for a tyre change with less than seven minutes of the session remaining. Two minutes later the Spaniard was back out on track and showed he meant business, immediately dropping a 1'29.146s lap to swap places with teammate Rossi, for fifth place. He kept piling on the pressure on his next lap and briefly secured pole with a 1'28.719s, before being pushed back to second place, by 0.333s. Thanks to this strong performance, he will start tomorrow's race from the first row of the grid. Rossi had to negotiate his way through Q1 and made it look easy. He was one of the last riders to leave the box to be ensured of some clear track as he fought for a place in Q2. His first flying lap put him in fifth place, but it soon turned out that this was only a dress rehearsal for the 1'29.665s he posted on his next try, which secured him provisional first place. Unable to improve on his next attempt, he ended his first run with six and a half minutes remaining. A minute and a half later he checked out of pit lane again to defend his number one spot. With the pace heating up in the final minutes, the Doctor responded by flashing red-helmet times in all sectors and clocking a 1'29.346s on his last lap to maintain the top position with a 0.359s margin, allowing him to successfully promote to Q2. The Italian continued where he left off when he started the second qualifying session. He exited the pits as the last rider, hoping to find some clear track again for his qualifying efforts. His second flying lap of 1'29.260s was enough to put him in fifth position, 0.376s from provisional pole. He made a quick pit stop with eight minutes remaining, before continuing his strong qualifying challenge. The nine-time World Champion was back out with five minutes left on the clock. He was on the attack once more, but he was unable to better his time on his next lap. He continued pushing and set a 1'29.203s, improving his time, but he dropped back to sixth place. Not able to make further strides on his last lap he was pushed back to seventh, with a 0.817s margin to first. He will start in tomorrow's race from the third row of the grid. "Honestly, this was a better result than I expected. Especially in FP4 I didn't feel so good on the bike. I didn't feel as great as I did in the winter tests, because the tyres are different, especially the front. During qualifying, in the second run, I felt good and felt I could push, so I'm happy about that. We have been struggling a little bit this weekend, but I think we found a way now and we will try to give our best tomorrow. For sure we will be hoping for dry conditions, but we are finding ways of improvement in the wet, so I'm happy that today's practice sessions helped us learn a lot. Tomorrow I'm going to ride my own race. For sure I will push and apply pressure to my main rivals if I can, and do my best." "Unfortunately I'm not fast like last year. It was already quite good to recover some positions coming through Q1, which is always dangerous. I'm seventh, which is not fantastic, because I was able to ride a quite good lap time very early, but after that I was too much on the limit at the corner entry. I wasn't able to improve on the last lap to start tomorrow's race from a top-5 position. We have to work, also because the setting is not fantastic. We have to try to modify something and after that the weather will be very important. We hope that the weather tomorrow at four o'clock will be like today and that we can race with the slicks. We will see." "Following a wet morning practice, that gave us good information in case we have a wet race tomorrow, we worked hard over the course of FP4 to find further setting tweaks. We've tried several settings and different tyre options and made a significant step forward before qualifying. Maverick and Vale both gave their 100% as usual. Maverick rode a very strong second run in Q2 and set a 1'28.719s. That lap earned him second place on the grid, only losing out on securing pole position in the final stages. Vale did exactly what was needed in Q1 and promoted to Q2 without any difficulties. He was quickly on the pace again, but had some issues on the corner entry at the end of the second qualifying session that kept him from securing a position on the first two rows, so he will start from seventh place. The team will continue to work this evening to find further setting variations to offer the riders for warm up tomorrow morning in preparation for the race. There are going to be different key elements that will play a big role in tomorrow's GP, including the weather and the tyre choice. We will have to be ready for all possible circumstances." Johann Zarco produced a dazzling performance to qualify in 3rd for the round 16 fight tomorrow. The rapid rookie began the day with a highly confident display in mixed conditions to complete FP3 in 2nd, however, his personal best from yesterday saw him progress through to Q2 in 8th. He commenced the shootout with instant speed and eventually finished with a hot lap that left him just 0.025 back from Maverick Viñales and as the top independent rider. Meanwhile, Broc Parkes will seek to please his fans in his debut race aboard the Yamaha YZR-M1 from the 7th row of the grid. The Australian made solid steps forward in the morning practice and then completed Q1 with an impressive showing to outperform several experienced MotoGP regulars. The headline event begins at 16:00 local time, or 07:00 in central Europe. "After qualifying third, I have high expectations for tomorrow and I hope to stay with Marquez and Viñales in the race. I think that they are going to be the two strongest riders and they will fight, plus, I'm sure that Viñales will want to take the opportunity to win the GP. If I can follow them and battle for the podium, it would be fantastic. As for my pace, it was quite positive and I was happy to use the medium tyre in FP4 and I felt good on it. Now we will wait and see what happens with the weather tomorrow but I am confident that we can have a great 27 lap sprint." "Every time I get on the Yamaha YZR-M1, I feel more comfortable and I make bigger steps forward. In qualifying it was dry and it was the first time that I felt like the bike was together with me. The gap to the guys that I am battling with is smaller now and for the race tomorrow I think that I can improve lap by lap and I hope I can fight for a top fifteen finish." Scott Redding returns to be competitive after a difficult period and takes part in a great comeback from 20th to 11th place. 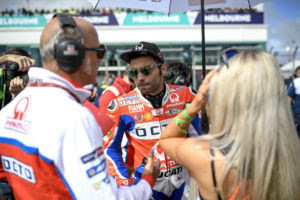 For Danilo Petrucci a weekend to forget. 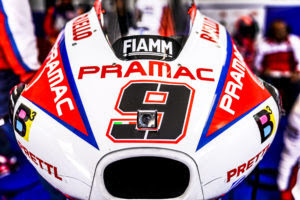 These are the "headlines" of Octo Pramac Racing on Phillip Island circuit. Scott is in P20 on the grid of Michelin® Australian Motorcycle Grand Prix and his start is not the best. The English rider, however, remains focused and since the first laps starts to run with a good pace. On lap 10, he has already recovered 5 positions and his race pace is one of the fastest. On lap 17 he overtakes Lorenzo before being involved in a terrific scrap with Pedrosa and Dovizioso. The final is crazy and Redding manages to win the fight under the chequered flag, finishing 11th. Petrux can't overcome the difficulties of the weekend. After recovering a couple of positions in the early laps (16th) the rider from Terni starts to have problems with the rear grip and his lap-times are not incisive. His GP finished almost on lap 10 and Petrux can only finish his weekend in Australia in 21th place. “It's my worst race of the season. We do not know why we have not managed to be competitive. I really cannot explain that at the moment. Fortunately, Sepang is only in a week's time. It's a track that I like very much and I hope to be able to do well to forget as soon as possible this weekend”. “I'm really very happy for this race. I've come back to enjoy riding my bike. The start wasn't good but from the first laps I found a great feeling. It is a great satisfaction after a very complicated period for me. Now I want to finish the season at its best with two good races in Malaysia and Valencia”.